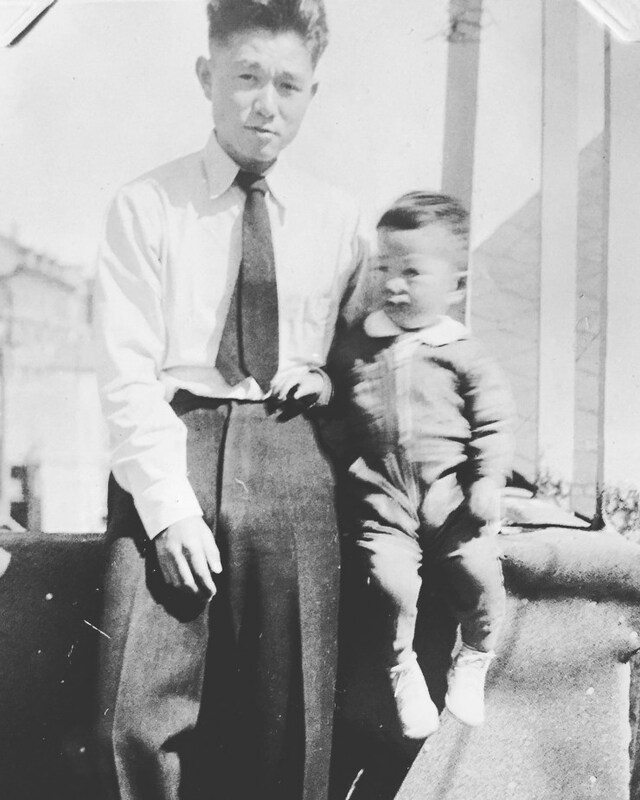 Tessaku is a collection of oral histories, memories, and testimonies from Japanese Americans who lived through World War II. The word itself means iron fence, roughly translated to barbed wire: Tetsu 鉄 is iron, and saku 柵 is fence. It was the title for a short-lived magazine published in Tule Lake. This project began solely to preserve my family history. During the internment, my grandparents and father were held at Santa Anita, Topaz and Tule Lake, where my grandfather was eventually targeted as a “troublemaker.” He was separated from the family, shuffled to a Citizen Isolation Camp in Leupp, Arizona and a Department of Justice camp in Crystal City, Texas. When the war ended, he started to write a memoir about his experience. Years passed and he never published it. In 1994, he died. I was eight when he passed and still too young to understand the weight of this history. In 2010 when we sold my grandparents’ house, everything was lost, including his drafted work. With it went a remarkable story. But in my own research, I found snippets of interviews where my grandfather is quoted, and then I was able to dive much deeper when I requested his WRA records. These are fragments of a larger puzzle that will likely stay incomplete but to try and complete the tapestry, I’ve sat my dad through hours of my questions, some of which I know the answers to but just want to keep hearing. I started to record our conversations and this project snowballed into something greater than just me and my dad: I wanted to hear everybody’s story. With the community shrinking in size (the majority of people alive today were children in the camps), I feel the pressure of time to collect more, and soon. My hope is that this brings to light more stories of our community, perhaps illuminating some that haven’t yet been told with a new perspective of intimate and honest conversation. It certainly can’t be done alone and my reach is only so far. If you have a friend or family member whose story you’d like to share with Tessaku, please send me a note here. If you want to support in another major way and want to see these stories go far, please consider becoming my patron. Thank you for reading, for sharing, for keeping this precious and important history alive for future generations. Listen to Tessaku on NPR’s Code Switch. An interview with Code Switch reporter Karen Grigsby-Bates on the Japanese Americans who avoided camp entirely by going to farm in Keetley, Utah.